I have been in web development for more than five years and itâ€™s been quite a journey â€” trying out different technologies and experimenting with different styles. Iâ€™ve been successful at times, but Iâ€™ve also had my fair share of disappointment. In this post, Iâ€™m going to talk about certain realizations Iâ€™ve had over the course of my life as a web developer, with the hope you can learn from my mistakes. The first thing you realize when you start making large applications is that a huge amount of time is required for debugging. Often, youâ€™ll spend more time debugging than writing new code. In such a situation, itâ€™s highly important you write properly indented and commented code, which adheres to best practices. Imagine you have hundreds of lines of code, and you have no idea whatâ€™s causing a small bug. Whatâ€™s worse is that if you write unreadable code, youâ€™ll probably fail to understand what each snippet does after some time. Are you sure you want to go down that path? Here are some tips to make writing clean code easier. People often first learn the tricks of a framework, and then move on to the language. Thatâ€™s actually not the right way to go. The popularity of Django can be attributed to the strengths of Python â€” so itâ€™s important that you get comfortable with Python before trying out Django and not the other way round. The simple reason here is that if you know about the underlying language, it helps you understand how the framework works. If you have no idea about the trades of a a language, there is no way you will understand why something is done a certain way in the framework. Iâ€™ve often seen developers read through tutorials or sometimes even whole books without anything much to show for it. However, my biggest concern is how much would you retain if you just read? If you want to learn Ruby on Rails, try to develop a small application as you are going through the documentation or a set of tutorials. If you want to try the MEAN stack, get it running in your local machine and explore the different options â€” thatâ€™s the best way to learn! Itâ€™s good to explore new technologies, but one must remember to stick to one for most purposes. Itâ€™s always tempting for beginners to learn multiple languages at the same time, but itâ€™s advisable to stick to one until you develop a certain level of mastery over it. Once you have a go-to language for your day-to-day needs, you can move on to new ones. You may also changed your preferred language in this process, but attempting to master one before you move on to others is often a wise decision. Here’s some advice for choosing which one to start with. In todayâ€™s world, itâ€™s very rare that you work on a project alone. To collaborate with others, you need to learn something called version control! Developers usually donâ€™t dive into version control until they absolutely need to do so. However, as version control is necessary to work in a team, itâ€™s a good idea to understand how it works and the basic commands that get you started early on. Mastering a technology on your own is great, but sometimes you learn a lot by just looking at the code of others. Be it your colleagues or random tutorials on the internet, try to find why someone approaches a problem in a certain way â€” and ask questions if necessary. Over the years, code reviews have immensely improved my programming skills. Proper code reviews take time on the part of the reviewer, so you should always ask others to review what you have written â€” your peers as well as mentors. It helps expose loopholes in your approach, and makes you learn. If you find someone who genuinely takes interest in reviewing your code, take their reviews seriously. Here’s a look at an advanced way to code review. Lastly, never take code reviews personally. Code is like art â€” itâ€™s difficult when someone points out errors in what you have created, but code reviews can only make you better â€” provided you take them the right way! This post stems from my experiences as a web developer and what I have learned from events that have shaped my life. For further reading, check out this article on how to be a good developer. What have you learned that you would have loved your younger self to have known? Let us know in the comments below. I'm guilty of a lot of those points as well, especially number 5's: Jack of all trades, Master of none. When I first started out, I wanted to learn it all and I wanted to learn it all right that instant. I made the mistake of trying to learn too much at once and ended up slowing myself down and even becoming overwhelmed. A ninth point that others might find useful is to beware of snippets written by others. I've often found myself stuck during the coding process and used to run off to find a snippet that someone else has written to do what I need. Implementing other people's code does work, and it's not a bad thing to do, but make sure that you understand what it's doing and how it works before you forget it. Much like you mentioned in your first point, at a bare minimum, leave a comment with a link to the page where you got the code to remind you what the code does (and also give credit where it's due). 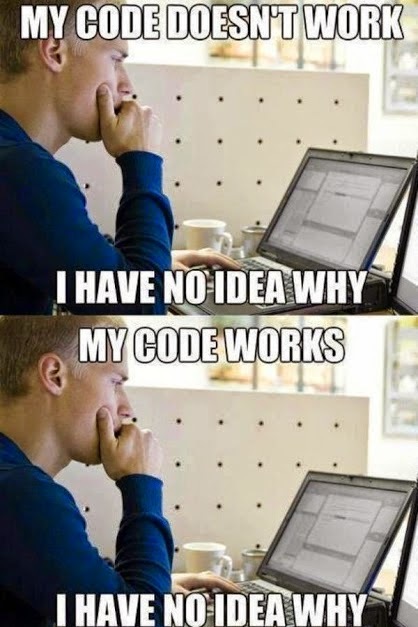 I wish I had learned version control as soon as I was starting to write code. This could have saved me hours of headaches caused by accidentally deleted code. I had to rely on multiple copies of the same project on my PC. jQuery takes all quirks and bugs in to account and makes your life more simple. The way many people use jQuery it is like placing your house into your hand luggage to go on a short trip rather than just taking what you need.